These two very ornate and detailed brick houses date from the mid-1880s. Note that the houses have nice details and have been well-maintained over the years. 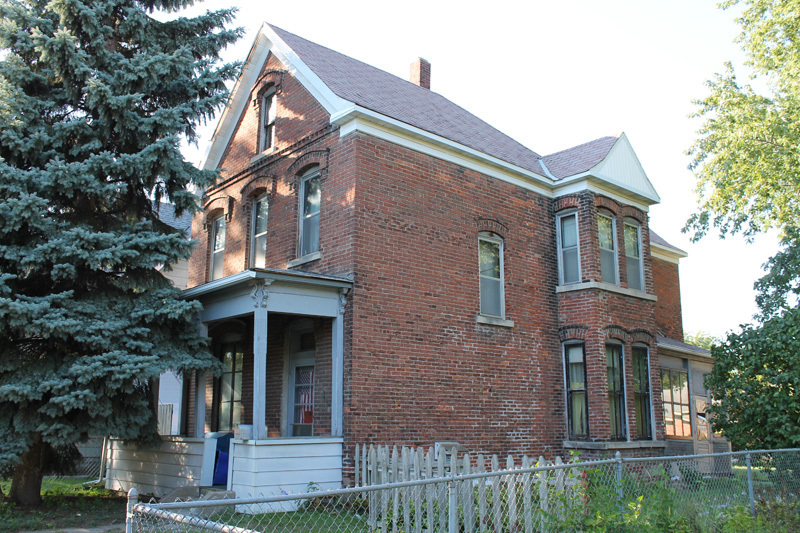 543 Sherburne is the Anton Klobe House and 571 Sherburne is the Emil Riedl House. In the blocks between Rice and Dale streets, and on some blocks west of Dale, at least one brick house per block can be found. 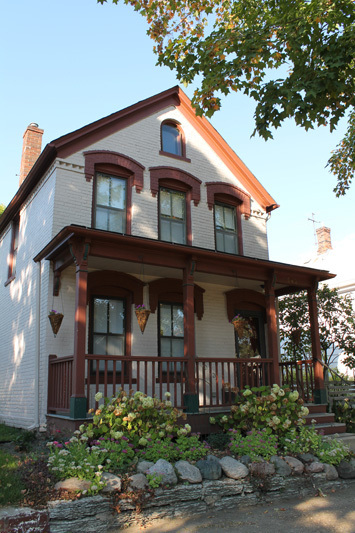 Although the neighborhood has many other charming brick houses, including one on Kent Street that has detailed porch windows, these two Sherburne Avenue stand out for their level of original detail and their condition. 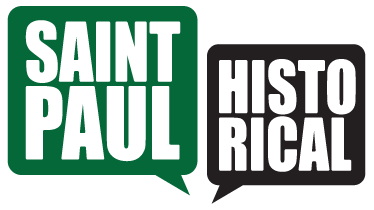 Jane McClure, “Klobe House and Riedl House,” Saint Paul Historical, accessed April 19, 2019, https://saintpaulhistorical.com/items/show/275.